Wowelife Hooded Beach Towel Make Every Kid Enjoy Beach and Bath Time. Kids' delicate skin appreciates delicate care, we guarantee material healthy for toddlers and kids. 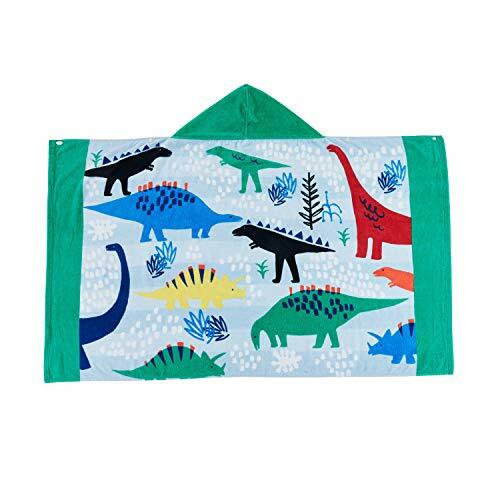 Theme: Each beach towel has a theme of fun designs like fish beach towel, jaw bath towel ans so on and vibrant colors with environmental dyeing.The perfect gift to kids for their favourite theme. Multi-Use:Used for swimming, bath and beach, also perfect for snuggling and warming up after pool. If you have any questions about this product by Wowelife, contact us by completing and submitting the form below. If you are looking for a specif part number, please include it with your message.